Speak up! In U.S. classrooms, students are expected to speak up and actively participate. You may raise your hand to indicate to the professor that you wish to speak and the professor will call on you. Participate in small group discussions or projects. Some professors place students in small groups to discuss an issue or to complete a project. You will be expected to share in the discussion and you can’t sit quietly and not participate. Behave in a respectful manner. Although many U.S. classrooms are more relaxed and informal, professors expect students to behave in a polite, civil manner. This means behaving in a respectful manner to all students and the professor. Diversity and inclusion. SIUE nurtures an open, respectful and welcoming climate that facilitates learning and work. Each member of the University is responsible for contributing to this campus environment. You will experience many different people with differing backgrounds, religions, values and ethnicities. You will be expected to accept, respect and learn with different people. Attend all classes and be on time. Professors expect students to attend all classes, arrive on time and hand in assignments on time. At the beginning of class, a professor will often describe, in a written syllabus, the expectations for the class. The syllabus is a “map” of the class that includes topics covered, assignments and due dates, as well as rules for the class. Plagiarism. Plagiarism is a serious offense in U.S. classrooms. Plagiarism means using someone else’s ideas as your own. At SIUE, students who plagiarize will receive a grade of “failing” in the course where the act occurs and the offense is reported to the Provost. If a graduate student engages in plagiarism, the student could be dropped from his/her graduate degree program by the department. If plagiarism occurs a second time, the student could be suspended from the university. Develop relationships with your faculty members. A very important part of your learning will happen outside of formal lectures. Make an appointment to meet your professor to discuss your research interests, to ask specific questions about the course, or to raise any concerns you may have about your ability to perform well in the class. However, remember that the faculty member is very busy and deserves respect. Be sure to make an appointment or drop by during posted office hours. Be focused. Make a written list of questions so that you can cover everything in a reasonable amount of time. Don't expect that a professor will give you special favors or change your grade. Be on time. Dress appropriately. Take a shower, wear deodorant and comb your hair. Read the syllabus carefully. It is your guide to the course. Make sure you understand the content of the class. Use the library and the internet to look up unfamiliar terms on the syllabus so that you are aware of the material the class will cover. Do not cheat. Do not copy papers or lab work from students who took the class before you. Do not plagiarize. If you need help learning how to properly use citations or how to write academic papers, make use of the Writing Center, trainings offered in the Library and services offered through Instructional Services. "Nobody told me" is not a good excuse. It is your job to get the information you need to be successful. Don't put off reading and projects to the last minute. Begin reading now and making a plan for how you will schedule work on writing and lab projects. Ask for a Mentor. 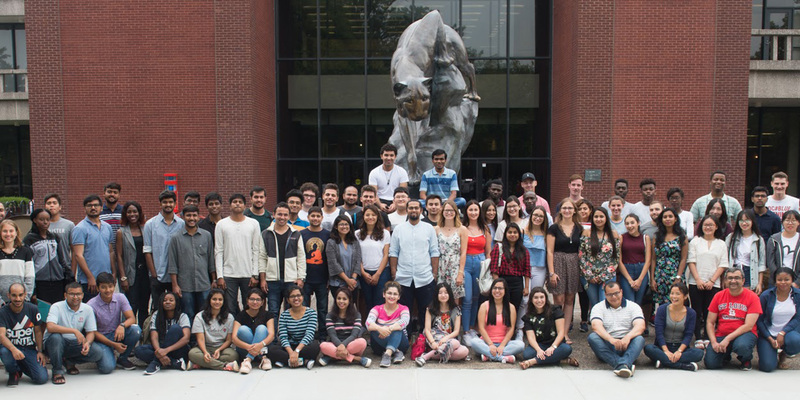 At SIUE, several groups provide mentors for international students. Sign up for a student mentor or host family during orientation activities. You will learn more about U.S. culture and make friends! Find someone to show you how things are done. Either an international student from your country or a U.S. student can help you learn about, understand and adjust to the U.S. education system and SIUE. Be independent. In the United States, you will be expected to solve problems by yourself, to learn by doing. Try to adapt. As you encounter differences in the U.S., think of ways to deal with them constructively. Getting angry that things are not done the same way back home will not assist you in your transition. Know that everyone has similar experiences. It is normal to go through ups and downs when you first arrive. Reach out to other students and your international ambassador. The first month can be especially stressful. Ask for help! If you need help, please ask for help! The International Student Advisors are available and willing to help you at any time.